The problem is fairly well known: Colony Collapse Disorder (CCD) is sudden and devastating, wiping out entire hives so quickly that scientists have had a hard time pinpointing the exact cause. Bee populations have plummeted, and possible explanations have ranged all over the map, from cellphone radiation to global warming, but a new study published in PLOS ONE suggests a complex combination of issues. Our agricultural chemicals, techniques, and pest species are all working together to create an incredibly lethal situation for the modern worker bee. Solving the problem will require much more than yet another adjustment to what farmers spray on their fields — and yet solve the problem we must, as without bees almost the entirety of the modern agricultural system will fail. And then we’ll be without humans, too. Nosema ceranae, a major killer of honey bees. The study found that combinations of some of the most common fungicides and herbicides were, occasionally, reaching lethal doses in bees. 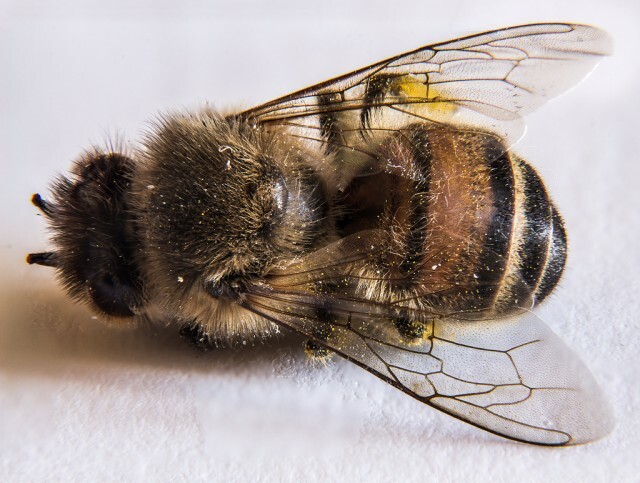 The bigger problem is that even a non-lethal dose can increase the bees’ susceptibility to the parasite Nosema ceranae, which has already been accused of contributing to CCD. Could this be the answer? Well, it’s almost certainly a big part of it — and it’s good that we know this. The troubling part is that there doesn’t seem to be any one DDT-like Satan chemical to blame here. 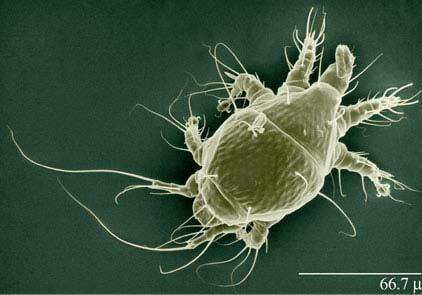 This is simply a product of exposing a very fragile species to a lot of different, highly active foreign chemicals. Perhaps the most troubling part of the study, however, was what it found about where these chemicals are being picked up. Farmers used to keep bees for themselves; it was one of the fundamental skills that made farmers farmers. As the agricultural business became more specialized, bee farms began to crop up to do this job for them. Rather than keep bees year round, most farmers now pay a bee farm to cart a hungry hive over and let the bees loose in their fields only when specifically needed for pollination. However, these bee farms tend to keep only one type of insect, usually the Asiatic honey bee. They’re good pets, and their honey provides a secondary source of revenue. The problem is that not every bee collects pollen equally well from every type of plant. So when you let a honey bee loose in a field full of, say, blueberry plants, they can collect far less pollen than a more specialized pollinator like a bumble bee, and they’re forced to hunt further afield. This study found that some of the most damaging chemicals were not being collected from food crops, which have their dangers but are ultimately fairly well regulated. 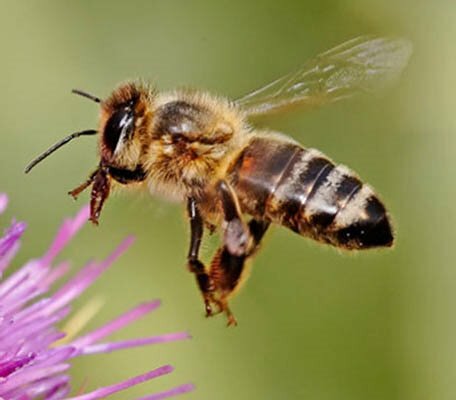 Rather, bees are increasingly picking up chemicals from weeds and other pest plants in the fields surrounding the crops they are supposed to be pollinating. This is a problem since, for obvious reasons, we have far fewer regulations on what farmers can spray on weeds. Everyone from farmers to agri-chemical engineers must take note of this study. Bees are one of the most important complex species on the planet, up there with earthworms and flies in terms of occupying an absolutely critical node in the web of natural interdependence. It is estimated that bees are responsible for the pollination of one third of the world’s crops; without them, many farms would simply fail. On the other hand, food is pretty important, as well. Everything from the concentration to the variety of chemicals used seems to contribute to the problem, but it’s those very concentrations and varieties that allow food to maintain the price and abundance we see today — and even that often isn’t very good. If pro-bee alarmism were to spark a huge pull back in our use of chemicals in farming, it would impact both the chemical manufacturers and the farms themselves. Rampant weeds and pest insects, now veritable super-versions built to fight our chemical defenses, could drastically change the landscape of the food business if left unchecked. On the other hand, checking them seems to be leading unavoidably to the downfall of our most important industrial species. Perhaps we should consider supplementing our never-ending efforts to modify crops and chemicals with concurrent efforts to modify bees. It’s a simple truism that we’d be better off if farms at least partially returned to being whole-cycle operations that keep bees and rotate crops. However, that’s unlikely to happen in the race to provide food to an ever more cash-strapped population. But why not look into co-developing bees with the chemicals we know they will encounter? Natural resistances can be bred, and we’re approaching an age in which we could even directly induce them with manipulation of DNA. Though the idea would be controversial with environmentalists, we could hypothetically co-co-develop crops, bees, and chemicals to exist together comfortably. The biggest downside would be creating yet more patentable species, and yet more ways for biotechnology to hold the modern food crop hostage.